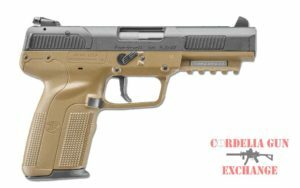 The FN 5.7×28mm is a small-caliber, high-velocity, smokeless powder, rebated rim, bottlenecked, centerfire handgun and rifle cartridge designed and manufactured by FN Herstal in Belgium. 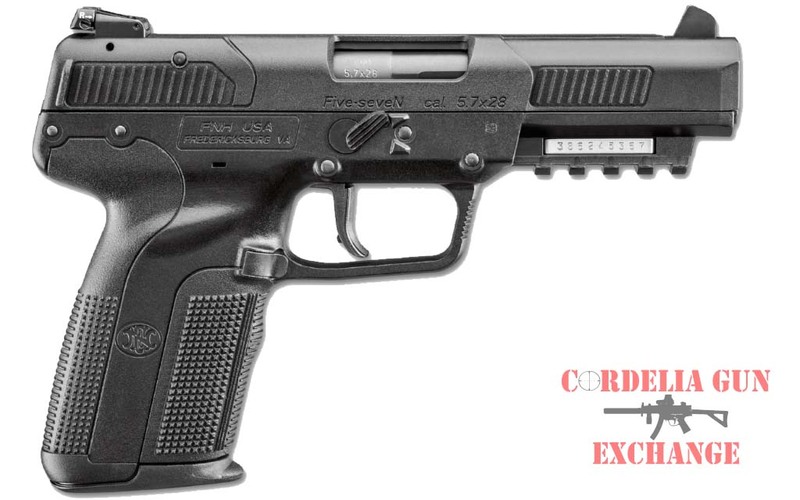 The 5.7×28 mm cartridge is used in the FN PS90 personal defense weapon and the FN Five-seven pistol. The FN 5.7×28mm is a small-caliber, high-velocity, smokeless powder, rebated rim, bottlenecked, centerfire handgun and rifle cartridge designed and manufactured by FN Herstal in Belgium. It is similar in length to the .22 WMR (Winchester Magnum Rimfire)(5.7×27mm) and to some degree similar also to .22 Hornet or .22 K-Hornet. Unlike many new cartridges, it has no parent case; the complete package was developed from scratch by FN. Tan FN Five-seveN FDE 5.7x28MM Pistol. Available from Cordelia Gun Exchange. 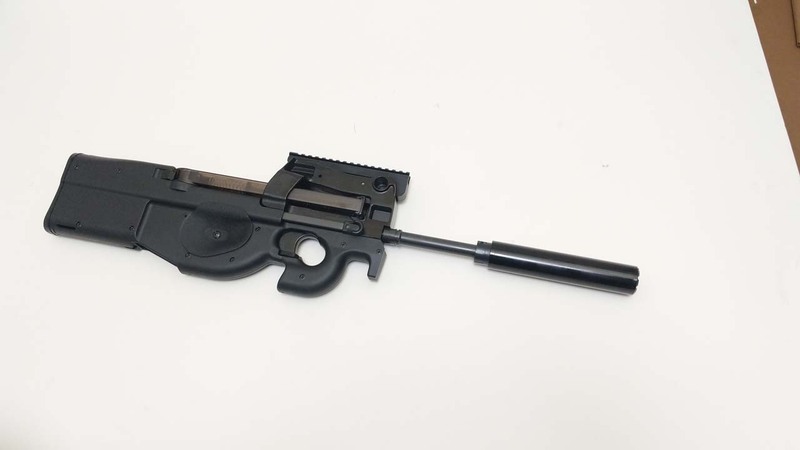 The 5.7×28mm was developed in conjunction with the FN P90 personal defense weapon (PDW) and FN Five-seven pistol, in response to NATO requests for a replacement for the 9×19mm Parabellum cartridge. In 2002 and 2003, NATO conducted a series of tests with the intention of standardizing a PDW cartridge as a replacement for the 9×19mm Parabellum cartridge. The tests compared the relative merits of the 5.7×28mm cartridge and the 4.6×30mm cartridge, which was created by Heckler & Koch as a competitor to the 5.7×28mm. The NATO group subsequently recommended the 5.7×28mm cartridge, citing superior performance in testing, but the German delegation objected and the standardization process was indefinitely halted. By 2006, FN’s 5.7×28mm firearms—the P90 personal defense weapon and Five-seven pistol—were in service with military and police forces in over 40 nations throughout the world. In the United States, 5.7×28mm firearms are currently used by numerous law enforcement agencies, including the U.S. Secret Service.